Curve – But Is It Any Good? OTHER SONGS YOU MAY KNOW: Not in the US, no. WHAT’S IT ALL ABOUT: Another combination dance / trance/ shoegaze album finds the band a little more snarly and distorted, but still the ethereal quality of the vocals softens the edges. SOME WORDS, PHRASES AND CLAUSES ABOUT THIS RECORD: Curve was building to this sound, where Dean Garcia’s guitars and effects would create a distorted haze over all of the proceedings, and Toni Halliday’s voice would sometimes be washed through the fog. This wasn’t as poppy as their earlier work (thus the relative chart failure) and a little more intense. Since they didn’t seem intent on making hints, artistically it’s a bit stronger and probably truer to their vision. After this record, they put the band on hiatus for a while to get their heads together, and emerged as more of a dance music band than shoegaze. This, though, is their pinnacle of their early work. NOTES & MINUTIAE: This isn’t streaming, like all of early Curve, but it’s on YouTube as one constant video. GRADE: A-: Curve’s consistent, consistently good. WHAT’S IT ALL ABOUT: Full length debut from UK dance / shoegaze hybrid band doesn’t disappoint. SOME WORDS, PHRASES AND CLAUSES ABOUT THIS RECORD: For those not familiar with Curve, I can point to the band Garbage as something that they are similar to. Garbage is cleaner sounding and doesn’t totally marry itself to dance rhythms, but the connection and influence are there. This full-length album takes the sound of the best tracks from their three EPs and plunges forward, with some great soundscapes constructed by Garica and the band all presided over by Halliday’s voice, which seems ethereal, just dancing over the cacophony. We in the US were going guns for grunge, so this became a UK thing and we kind of missed the shoegaze boat except for some of us who read UK trade papers and sought out those bands. This is a great intro to a danceable, commercial, yet original sound. It makes Jesus Jones and EMF sound like pikers. NOTES & MINUTIAE: The best (only) way to stream this is on You Tube, where it’s contained in a playlist. IS THERE A DELUXE VERSION: Yes. The US version added a track that was on a previous single. GRADE: A-: A great melding of distorted guitar, cool vocals and rhythm. WHAT’S IT ALL ABOUT: Three 1991 EPs (thus I’m tagging it with that year) introduce a band that combines shoegaze distortion with some dance sensibilities. SOME WORDS, PHRASES AND CLAUSES ABOUT THIS RECORD: While shoegaze was more of a ‘What are those wacky British bands up to with their noise and clatter?’ here in the states, it was kind of a big deal in the UK. Curve’s niche in it was combining the noise and distortion and vocal effects of bands like Ride or My Bloody Valentine, with accessible beats and dance rhythms. Toni Halliday’s vocals land on top of the cacophony and that combo makes for a great sonic mix. It was a mix of styles that set them apart and for a while, but while some indie-minded folks jumped on the shoegaze bandwagon, it was subsumed by grunge here in the US. These three EPs sound like Curve has their formula down out of the gate. The chart positions of the EPs in the UK are impressive and set the stage for further UK success and buzz. The bad thing is that this is only streaming on YouTube. I didn’t realize that when I posted my review of a later Curve album, so sorry this is out of sequential order. Ah, well. NOTES & MINUTIAE: Garcia and Halliday met through Dave Stewart of Eurythmics. GRADE: A-: I wish it was streaming. It’s a great intro to Curve and one that you can dip your toe into shoegaze. OTHER SONGS YOU MAY KNOW: Not in these parts – in the UK sure you may have heard a couple. LINEUP: Dean Garcia, Toni Halliday and some session folks now and then. WHAT’S IT ALL ABOUT: After a short hiatus, the shoegaze-techno band becomes a techno-shoegaze band and releases a fine electronica record with shoegaze elements. 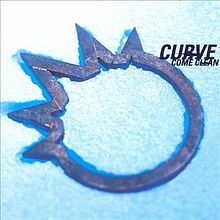 SOME WORDS, PHRASES AND CLAUSES ABOUT THIS RECORD: After two albums (not streaming for…reasons I guess), Curve broke up in 1994 after a tour, but they soon came back and moved into more of an electronica band. Not as heavy duty as the Prodigy, but in that area code at least. The result? Pretty, pretty, pretty good! The addition of more electronics give the band more sonic bandwidth to play with, and they take advantage of it. A lot of this album could be easily played at a dance club, and also stands up to intense listening because of all of the things that are going on. Curve’s comeback only lasted a few years, but Come Clean is definitely one that was worth a reunion. NOTES & MINUTIAE: They released internet-only albums in 2001 and 2002. GRADE: A-: It was a surprise to me, because Curve made their bones shoegazing away – yet the dance and electronica elements make their sound better, not worse.